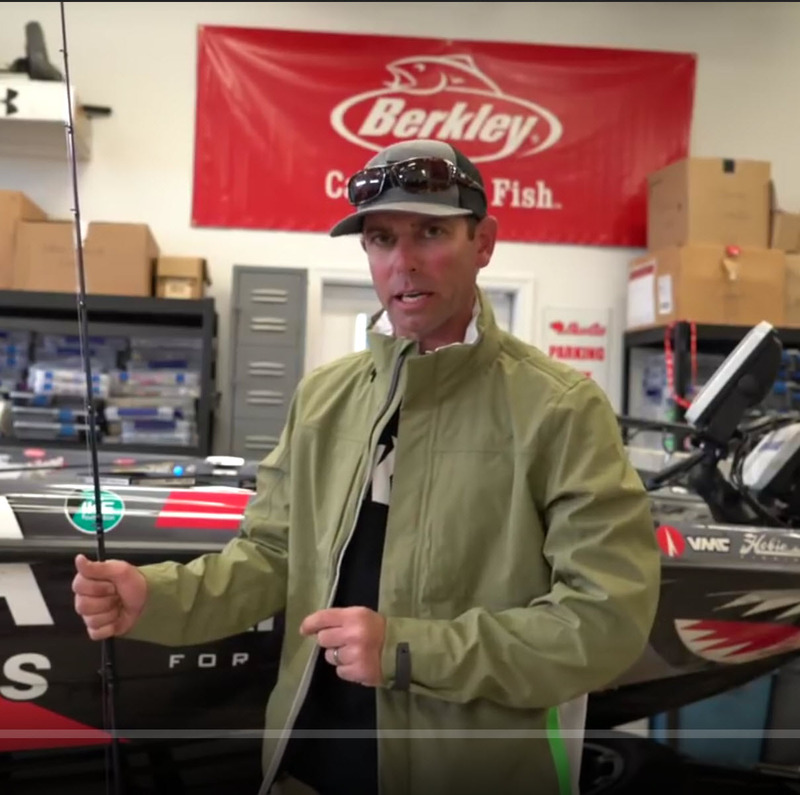 If you’re even half-serious about bass fishing you should learn to fish the umbrella rig. It’s somewhat controversial but in the end it’s a real fish catcher, controversy or not. However, let me give you a warning before we go any further. Some tournaments allow it, some don’t. 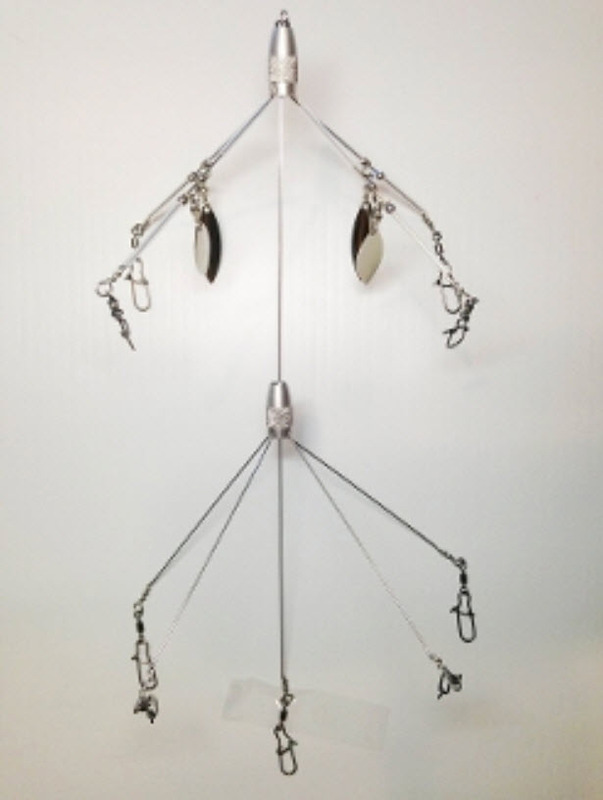 And, the number of hooks that you’re allowed to have on one rig or rod varies widely from one state to the next. Make sure you know the rules before you start throwing it. Another thing: Right now, on Going Ike! I’m fishing one with Britt Myers. Check it out if you want to see some real action. The umbrella rig is at its best in the early spring and in the late fall. That’s when bass are seriously relating to baitfish, and no lure or rig on the planet mimics a ball of baitfish better than an umbrella rig. It’s a crazy looking thing with its mass of wire and turning blades but it absolutely mesmerizes bass when it’s rigged properly. Proper rigging means starting with the right harness. My choice is a Shane’s Rig. (I’m not sponsored by them. Nevertheless, it’s the best one I’ve ever used.) I like the ones that can be rigged with anywhere between five and 10 lures. My favorite head is a VMC Darter Head, and I don’t worry much about the color. I’m partial to the 1/8-ounce weight but at times I will go up to 1/4 ounce. I rig everything except the one in the center with a small Berkley HAVOC Beat Shad. I always pick one that looks like the local shad — white, gray, smoke, ghost or whatever. Note: My tackle does not include a heavy saltwater rod and reel and I’m not using rope for my fishing line. That is totally unnecessary. Don’t overdo your tackle. Use medium-heavy bass tackle and you’ll do just fine with an umbrella rig. The only thing you do when you fish an umbrella rig is throw it out and wind it back. Vary your depth in the water column until you find them. I suggest you hang on after that.